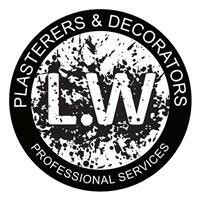 LW Plasterers & Decorators - Painter/Decorator, Plasterer based in Haslemere, Surrey. LW plasterers & Decorators is a well-established plastering company in the Surrey area, with an excellent reputation and friendly service and plenty of experience. I take pride in the level of quality and professional service I provide for my customers. I am also committed to meeting and exceeding customer expectations, making every effort to leave your property as clean and tidy as possible. My prices are very competitive, so email me for a quote today and I will get back to you as soon as possible (within the week). Hampshire, London, Surrey, West Sussex and anywhere in a 50 mile radius from Haslemere.